New book, 256 pages with 157 black and white pictures, 48 colour pictures, 6 maps and 32 colour drawings. 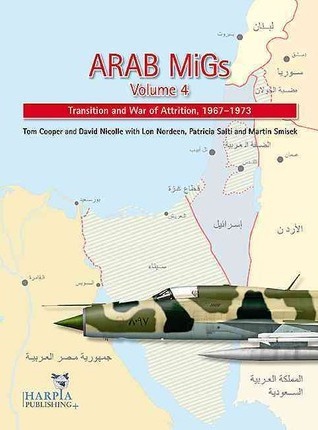 Volume 4 in Harpia Publishing's highly successful Arab MiGs series expands the history of the major Arab air forces that became involved in the wars with Israel during the period 1967 to 1973. It solves the intractable complexity of this violent period by dispassionately outlining the sequence of political and military events - in chronological and geographic order.